When you are interested in trading forex (currencies) you need a forex broker. A forex broker is a company which executes the trading orders you enter into their system. Their job is to buy/sell what you wished for and you pay them a fee for that service. The fee they charge a forex trader is differs with every broker. When making a choice to sign up with an account with a forex broker, there are some things you need to think about before trusting any forex company your money. On this website you are able to find a lot of forex broker reviews. For your convenience I have listed their unique selling points in the table below. We review the best forex brokers worldwide. To trade safely and successfully you need to make sure your broker is on our top binary broker list. Why should I trade forex? Trading forex is very exciting. Being able to make a profit requires certain skills from the trader. A trader has to follow the newsheadlines to know what is going on in the world. That information is used to take a position in the market. Second, forex never sleeps.. Tradable 24 hours a day, 5 days a week. Not tradable in the weekends, but that doesn’t prevent the rate to change on Saturday and Sunday. Nothing more exciting that keeping a position open at closing time Friday and having to think about all weekend, hoping for the rate to rise and to make profit. Do you know a lot of are trading forex for a living? The running costs are low when you are looking at forex trading as a hobby. You can start trading the currency market with as little as €25 with broker Easy-Forex with a minumum first deposit of €100. Furthermore, the tools you need in making an adequate analysis are available online on the forex trading platform offered by the best brokers only. Point 4 of the 5 important characteristics in this Forex Broker Review is about the tools. Trading safe. That is what I need you to do and that is why you should choose a forex broker that is regulated by some financial authority. Many forex brokers (and binary options brokers) are located in Cyprus and are regulated by their authority CySEC. The following brokers are regulated by an authority and have therefor follow up a set of rules involving cashflow, minimum liquidity an a whole bunch more. The mission of the CySEC is to exercise effective supervision to ensure investor protection and the healthy development of the securities market. Broker Plus500 UK LTD is authorised and regulated by the Financial Conduct Authority to offer Contracts For Difference (CFD) and is also listed on the London AIM Exchange. I prefer brokers that don’t just cash in on my trades, but also help me and give support in forex trading when I need that. And traders who are not doing well in speaking English can seriously benefit from a helpdesk employee speaking his/her language. Below a list of our favorite brokers and the languages the support team can speak, English included. eToro – 14 languages, inclusing Swedish, Chinese, Russian, Arabian, and many more. Another important thing in service is the time to withdrawal. When your account balance is growing you will get to the point where you wish to withdraw your money. Does the forex broker of your choice offer a withdrawal with a minimum amount? Do they wire the money within 5 business days? I think that before you sign up with a broker, this is quite an important thing. Find out what they are used to and if that suits your needs. A slow withdrawal method is a reason to move over to the next broker. At least to me. You might be focused on trading forex for now, but what about next year? Chosing a broker that offers not only forex might be interesting for the long term. Many forex broker offers other assets next to forex: indices, commodities, shares, options. Decide up front if you will be a high roller in the future or just an occasional trader forever. My experience? Don’t gamble on just one horse..
Easy-Forex and Plus500 all offer more than just forex. Next to indices, commodities and stocks/shares, Plus500 CFD Service also offers ETF’s (Exchange-traded Funds) with the contract for difference system. No trader can do without proper trading tools. Whether you would like to learn to trade using technical analysis, fundamental analysis, trend analysis, you NEED tools. Do our house brokers offer these tools? Plus500 CFD Service offers a trading platform on you smartphone, tablet, personal computer and internet browser. The PC-version and the webtrader trading platform offer the best package. They contain a total of over 20 trading indicators and the smartphone and tablet apps contain just 8 of these indicators like Bollinger Bands, Advanced True Range and ADX indicator. Receive our free ebook explaining all the commonly used trading indicators when signing up to our forum. Depending on your trading needs, all forex brokers (Plus500 excluded) offer different types of trading accounts with fancy names like ‘Mini’, ‘Gold’ or ‘ECN account’. Main difference is that it depends on the amount of money you wish to deposit on opening an account with a forex broker. For example: a ‘Mini’-account is usually with a maximum of $250 where a ‘Platinum’-account has a minimum of $5000 to be deposited. Islamic trading account – An islamic trading account is also called a swap-free account and are intended for Muslim traders. To resolve the issue, several decisions and fatwas have been issued. According to these decrees, the conditions for trading currency are: buying or selling without a delay, the cost of the trade should be payed without a delay, no interest on trades. Islamic trading accounts are available at eToro, Easy-Forex. 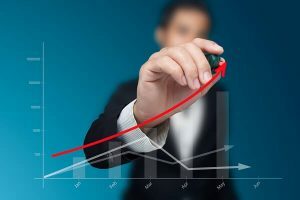 ECN accounts – this type of account is a computer driven trading network. ECNs are generally passive computer-driven networks that internally match limit orders and charge a very small per share transaction fee (often a fraction of a cent per share.